Tube Top chain was created so that more products could be accumulated than what was possible on plain chains. 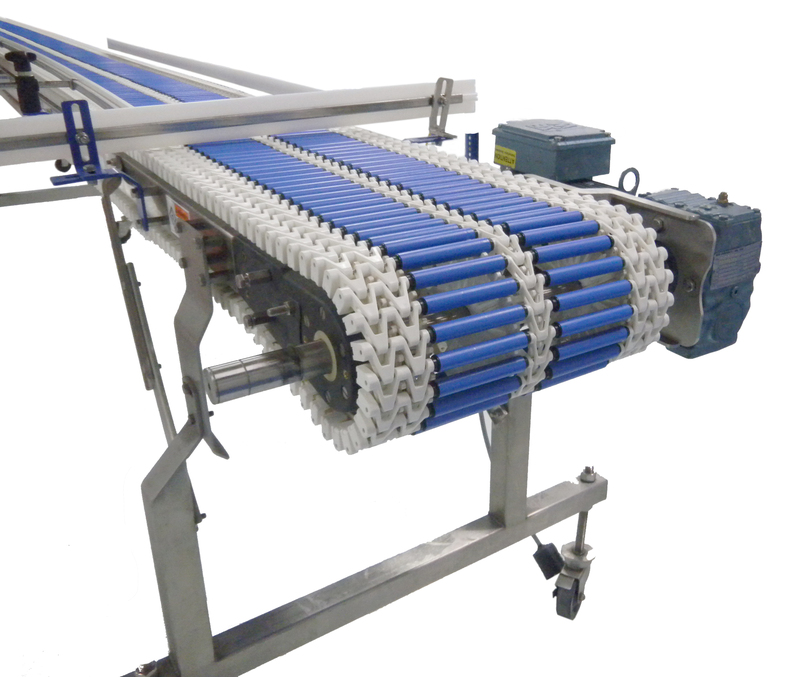 The tubes rotate freely under products that are stopped on the chain allowing a longer slug of products to accumulate without crushing the first product. Back pressure decreases drastically on Tube Top chain. 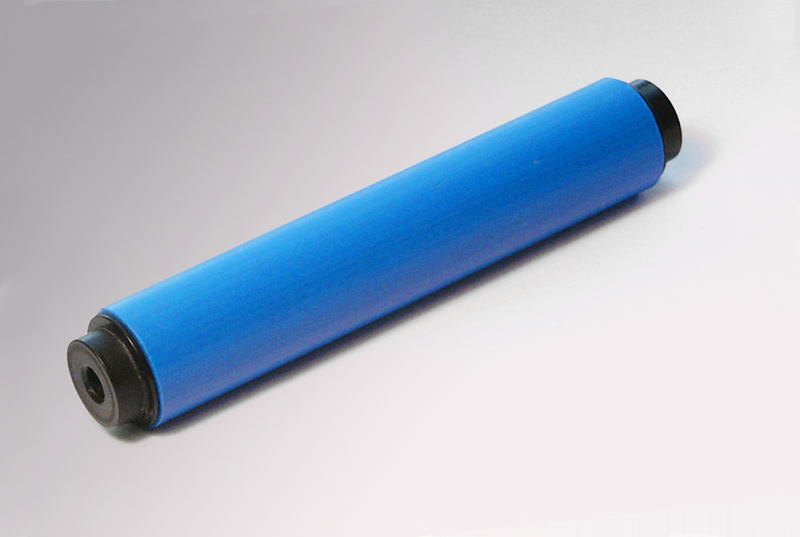 Increasing the angle of the Tube Top accumulation conveyor can drop the back pressure further. Because the tubes roll underneath the product during accumulation, the product surface is not damaged during the accumulation.